Gold Ridge Cabinets and Designs offers a diverse selection of quality cabinetry options to fit your style and budget. Their team of designers offer solutions for most phases of the process including the coordination of cabinetry and hardware, flooring and stone and quartz counter-top selections, color palettes, decorative finishes and more. Visit their design showroom i El Dorado Hills or give them a call to make your dream kitchen and bathroom a reality. Supplying custom cabinetry since 1972, we provide the ultimate in precision, quality and personalized service. Over the years California Cabinetry has delivered design excellence for homeowners, contractors, architects, designers and large scale developers throughout Hawaii and California. With your style in mind, our team will work with you to create the ideal appearance for your kitchen, bath, utility room, office or living room. We invite you to visit our showroom or photo gallery to view our expansive selection of styles and stains for your customized needs. California Cabinetry’s expertise and unique selection makes all the difference. 3 Day Kitchen and Bath will give your cabinets a “face-over” for a fraction of the cost of replacing them, and in most cases, the job will only take three days. You choose the color, style, and look you’ve been dreaming of and 3 Day Kitchen & Bath will take care of the rest. Your friends will think you paid a pricey interior designer and went on vacation when they see how your stylish cabinets turn your outdated kitchen into a showpiece of your home. Elite Wood Design and Custom Furniture Design work together to design and manufacture the highest quality furniture and cabinetry available. We service residential, commercial, and institutional customers throughout Northern California and beyond. We pledge to all of our customers that we will provide them with the highest quality cabinetry and furniture available. Our job is not considered complete until you are 100% satisfied. Weber Company, Inc. is a small cabinet company located in Lodi, California. We have been in business since 1972 and take pride in building a quality cabinet that can last a generation. 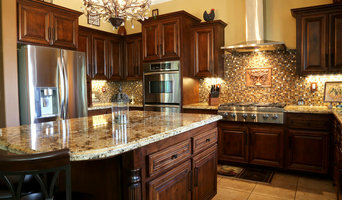 We specialize in custom cabinetry like entertainment centers, kitchens, bathroom vanities, home offices, and much more. 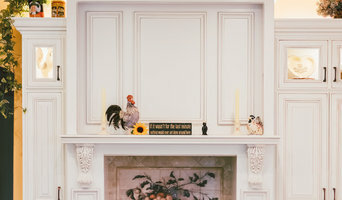 We also build decorative chopping blocks, and butcher blocks currently for sale on our website and at Williams-Sonoma stores throughout the country. Sac City Cabinets is a retail store that sells affordable quality cabinetry for kitchens, bathrooms, and entertainment centers. We also sell knobs and pulls, sinks and faucets. Our customer service cant be beat! *Authorized Canyon Creek Cabinetry Dealer* Floors Cabinets & More has an extensive collection of flooring products available for your home or business. Material can be available as quickly as two days at extremely competitive prices. The brands that we carry include Anderson, Armstrong, Reward, Galleher, Urbanfloor, Old Master, Expo Floor, Flooring, among others. There are a number of upgrades which can make your home a better investment, such as well matched wood flooring – let us help you choose the product which best meets your needs. We have a wide selection of floors in stock at a great price. A kitchen is the essential part of any home, it is where people spend most of their time. For this reason, kitchen remodeling is the essential part of your house renovation project. It will add value to your home, help you get it ready for resale, or upgrade your home for entertaining all year. Timberlake Cabinetry manufacture kitchen and bath cabinets to satisfy every type of homeowners: from entry-level to luxury cabinets. Organized into three series Value Build, Portfolio, and Portfolio Select, each has different features and options that will serve your specific needs. We carry Timberland products! We also sell, fabricate, and install countertops for kitchen vanities and offices. With a 100 different colors of granite, marble, and quarts to choose from, you're sure to find one that will satisfy your needs. Our fabricator can fabricate custom countertops of any configuration, with about ten different edges to choose from. Come visit our showroom to learn more! General Woodwork and Construction INC.